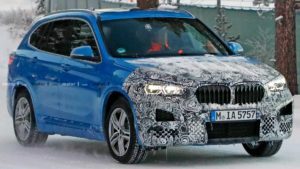 Since the Bavarian car manufacturer has a plan to introduce at least 25 electrified models by the end of 2025, as well as several all-electric options, a concept that previews the future isn’t any surprise at all. 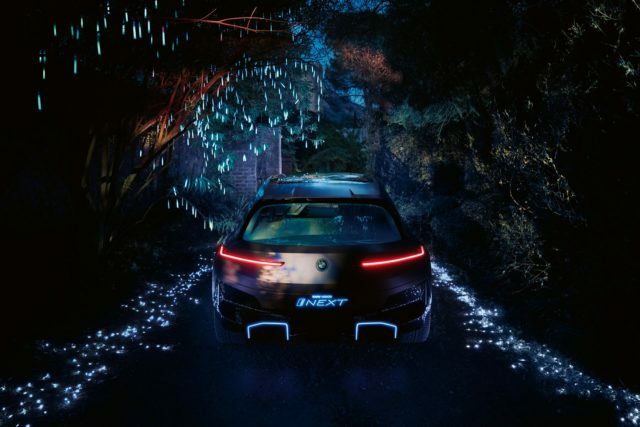 Moreover, they’ve released a couple of teasers over this and last month already, so we were aware that the BMW Vision iNext concept arrives. The awesome concept, however, isn’t something we’ve expected so soon, especially when we take into account that the carmaker plans to introduce the production model sometime in 2021. 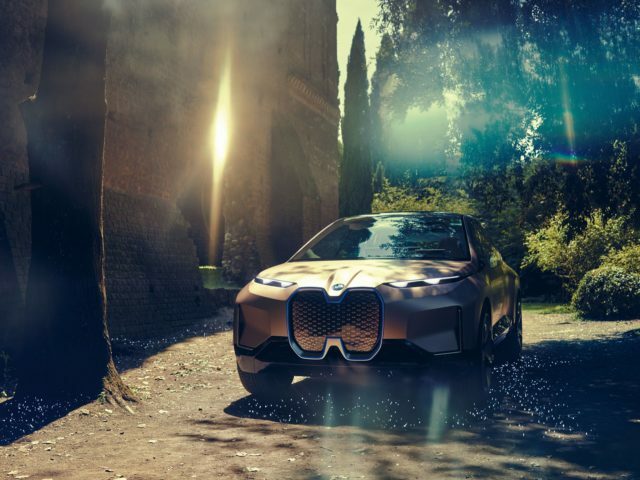 Meaning, the real BMW Vision iNext SUV will be available in showrooms sometime in 2022. The interesting concept SUV shows an expressive exterior design with plenty of bold details. Of course, when the production version hits the showrooms most of the styling cues will either disappear or will be toned-down. 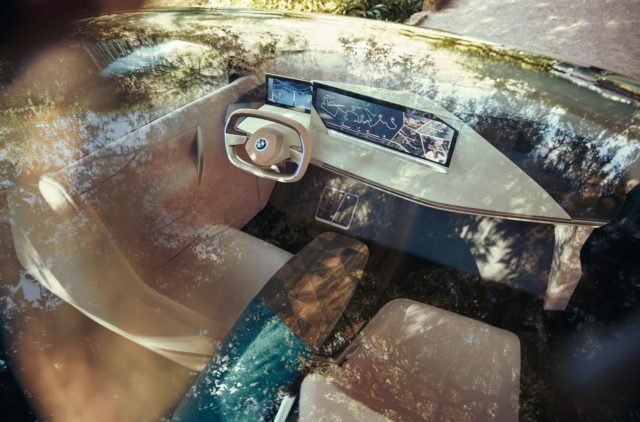 Still, the futuristic approach is definitely something that can give BMW a chance to score a touchdown with the electric SUV. 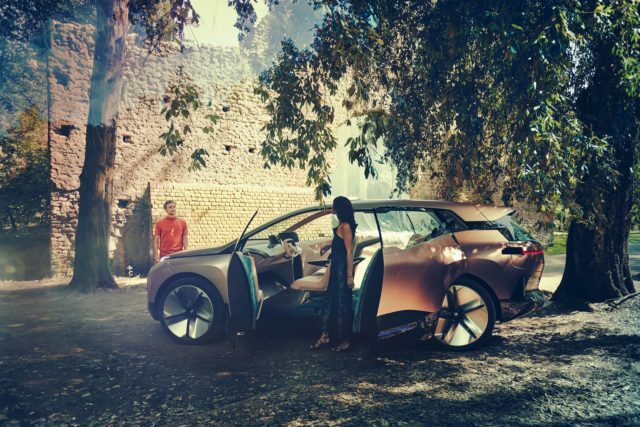 Up front, the BMW Vision iNext keeps the distinctive kidney grille alive, yet without airflow function. Instead, the grille serves as the perfect place for an “intelligence panel”. The panel will be coupled with a number of sensors for self-driving capabilities. Speaking of which, BMW promised Level 3 self-driving to be a standard part of the future electric SUV. Sometime later, the automaker will make an update to Level 4 capability, which will provide the driver more time to take back controls. Moreover, the driver would be able to take asleep behind the wheels. There will be two driving modes available: Boost and Ease. The first one includes driver while Ease means that you want to be driven by the car. BMW hasn’t provided too many details regarding the powertrain. 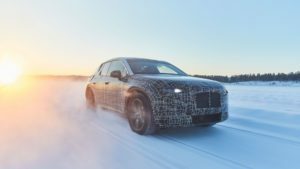 They’ve mentioned, however, that the SUV will be coupled with a pair of electric motors which will be able to make a fast 0-60 mph acceleration that’s estimated to be below 4 seconds. 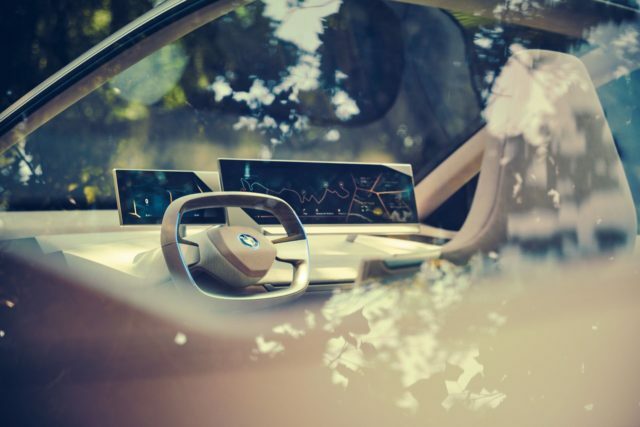 The production version of the BMW Vision iNext will be mated to the fifth-generation battery. The biggest one is reported to be a 120-kWh which will provide a driving range that exceeds 370 miles. Hyundai new SUV -- Is This The New Coupe-Like Crossover? 2019 Smart SUV: Coming in 2018?